Now your customers can send pics of their vehicle concerns so your shop can determine how best to proceed. How many times has a customer called your shop to ask if their vehicle was safe to drive—due to a warning light or leaking fluid, or a tire not looking quite right? They try their best to explain their concerns over the phone, and you try to make an educated decision based on their description, but to no avail. Well, now you can! With Message Manager’s new 'Inbound Photo Texting' feature, your customers can text your shop photos of their vehicle issues. 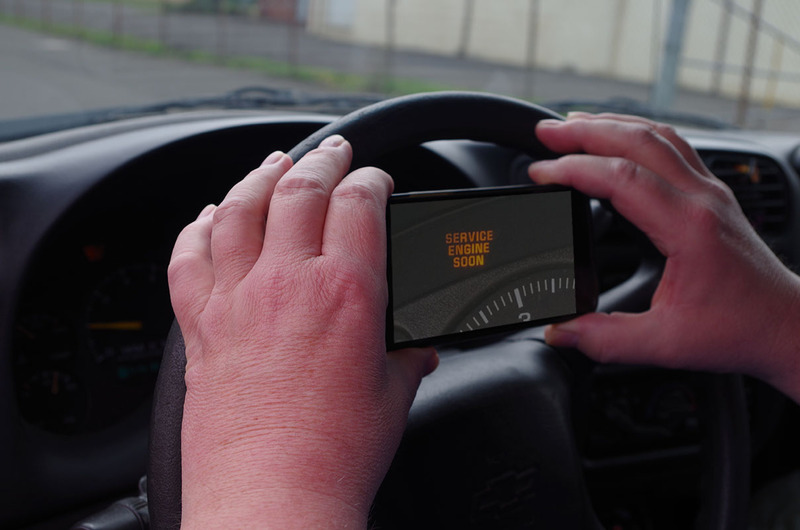 By just using their smartphones, your customers can send you photos so you can see and clarify their vehicle concerns and make a decision on how to proceed. First off, it's completely free if you have Message Manager, Pro Pack, or Mobile Manager Pro. You may just have to run the update to get it if you don't already have it. It is best to have customers store your shop’s information from your Vcard (see Here's My Card for more info) into their phone contacts. So, when an issue does arise, they can take a photo and text it to your shop. It will appear on your screen as the usual gray balloon on the lower right side of the screen, just open the photo and take a look. It's that easy. 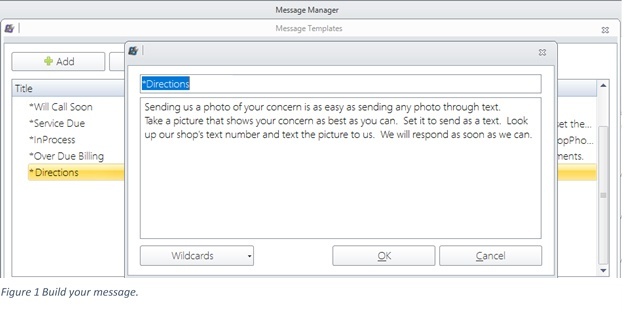 You can also build a Quick Message Template with all the instructions on how to send a picture to your shop. 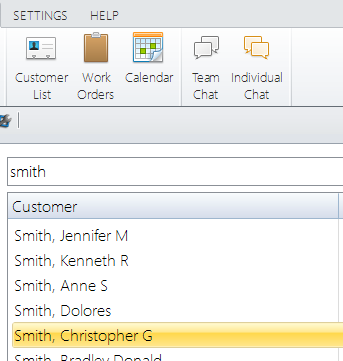 If a customer texts or calls with a question, search for their name in Customer List in Message Manager and double-click on it to open Quick Message to send the prebuilt instructions right to their phone. With the instructions and your text message on their phone, they are just a few taps away from sending the picture to you. *For more information on how to use this feature, just click here: Contact Us. *Don't have Message Manager? See a live demo (right from the comfort of your own computer) by clicking Request a Live Demo or calling 610-400-1019 (press 2).